One of the most famous materials that are used in construction is Glass. In present times, these are used a lot in windows, doors, railings for balconies and staircases etc. The good thing about glass is it can be cut into different sizes and shapes and this makes it so much more flexible and versatile. What is meant by wired Glass? Wired glass is being used for decades now and it prevents the glass from shattering in case of emergencies. The glass is reinforced with wire mesh during manufacture, that makes it durable, fire resistant when compared to float glass. It is also known as Georgian wired glass and wire mesh works like a reinforcement. In case due to some higher impact activity the glass breaks, it is held by the wire in position. This lessens the chances of anyone around from getting hurt. The wire mesh glass is available in diamond grids and square grids. What are the advantages of Wired Glass? Because of the wiring that is present in the glass, the glass is able to block fire entering in building for some time. This also offers enough time for escaping from the building and thus helps in the prevention of damage in emergency situations. Although it can break with impact, the fragments of glass get stuck to the wire mesh, this helps in preventing theft. When compared to float glass it has a much higher thermal and electrical resistance. In comparison to different other safety glasses available in the market wired glass are less expensive, so it works like a cheaper fire and safety glass. These glasses can also be used as patterned and tinted glass, hence it offers an attractive aesthetic look to the property. Wired glass is aprroved by American UL standards and has a heat resistance of upto 60 minutes. It is important that wired glass is not installed near the areas where kids often visit as when the glass breaks it has the sharp wire and class exposed that can harm people around. In case you are looking for a clear view from your window, it’s not the best choice. The reason being the wire obstructs that view. It is used in partitions and windows of, public buildings, schools, hotels, and institutions. 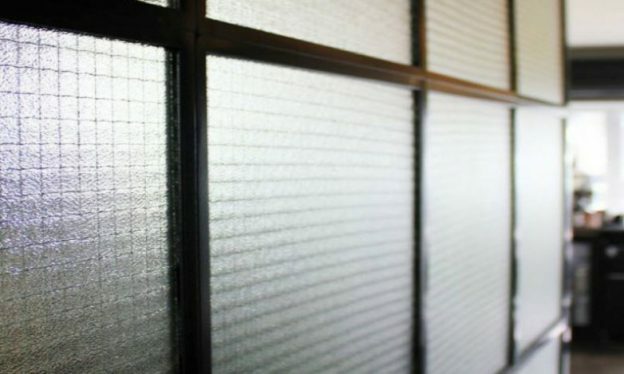 Usually, wired glass is used in windows of routes to the fire escape, this helps in increasing the time required for evacuation people in a situation of fire or other emergencies. Some of the prime applications of wired glass include stairwells and hallways and can be a really smart choice for installing in these areas. It can also be used in skylights, roofs, windows, and fire resisting doors. So this was complete information on the wired glass that you should be aware of while you choose it for your requirements.